See pictures and video for details. pansat 3000 - YouTube. Video will open in a new window. Pansat 2500a Digital Satellite Receiver. Condition is Used. Receiver powers on just fine as shown in picture. Remote is not included. Pansat 2500A in mint condition barley used . Shipped with USPS First Class Package. This is a working PANSAT 250SM RECIEVER used working complete as shown. Pansat 4500 satellite receiver with remote. Condition is Used. Shipped with USPS Priority Mail. 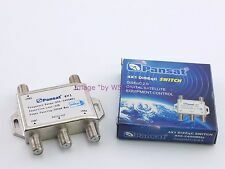 Pansat 4x1 DiSEqC Switch. More than one LNB?. This switch will allow those of you that have receivers that use this switch mode to change between them. Frequency range 950 - 2400 MHz. Power Passing. 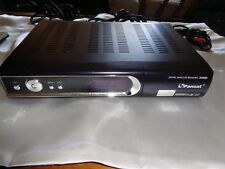 Pansat 2700A Digital Satellite Receiver Power tested only. Flashes B - 75 at startup then goes to 0277 Unit does have some dust and scratches. Condition is good. NOT TESTED--AS-IS. Include manuals. Each 11.4" x 8.8" x 2.5".